I love a good salad. In fact, most days that's what I have for lunch. I find it easier to buy all of the ingredients, take them to work and prepare it there. With that being said, I'm always looking for new combinations. Let's be real, lettuce tomatoes and cucumbers get old after a while. 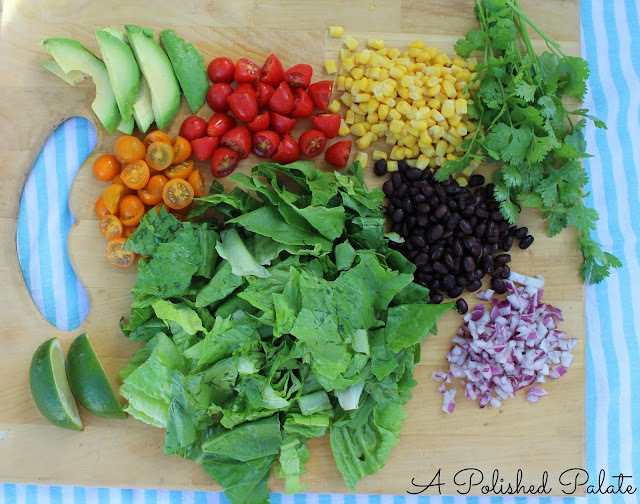 When I first made this Southwestern salad, I was instantly hooked. 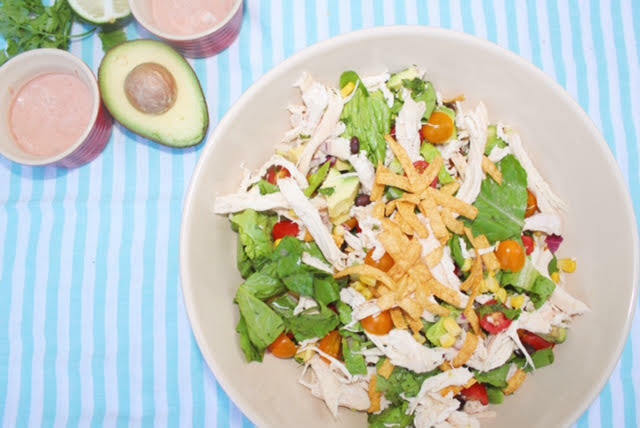 It's basically a bowl of greens with a Mexican vibe, but without the guilt. And the best part about it... you can add as little or as many of the ingredients as you would like. 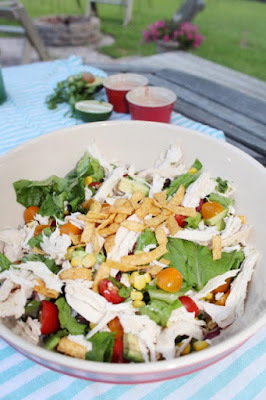 As I mentioned in yesterday's post, I made this salad for dinner over the weekend. 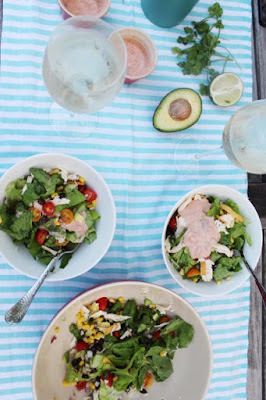 I will admit, this is the one salad that I can convince my husband to make a meal out of. The protein and carbs from the beans, corn and chicken are enough to leave you feeling satisfied. 1. Rinse 1 head of romaine lettuce, pat dry, chop and add to a large bowl. 2. Rinse tomatoes, using approximately half of each package. Slice them in half and add to the bowl. 3. Add half of a diced red onion. 4. Pour the can of black beans into a strainer, rinse, let drain and add ½ cup to the salad. 5. Pour the can of corn into a strainer, let drain, and add ½ cup to the mix. 7. Shred the rotisserie chicken into pieces, discarding the bones. Add a generous amount to the mix. 8. Top with a few springs of chopped cilantro and a handful of tortilla strips. 9. Squeeze fresh lime juice all over the top of the salad and add a dash of pepper. 11. Top the salad with a dollop of dressing and serve.